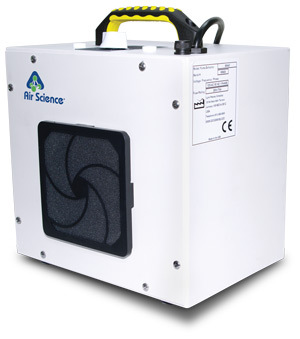 The Air Science Laboratory Fuming Chamber uses cyanoacrylate fuming for latent print development on various surfaces. The Fuming Chamber incorporates the Air Science Fume Extraction unit to safely purge the cyanoacrylate when the printing cycle is complete. 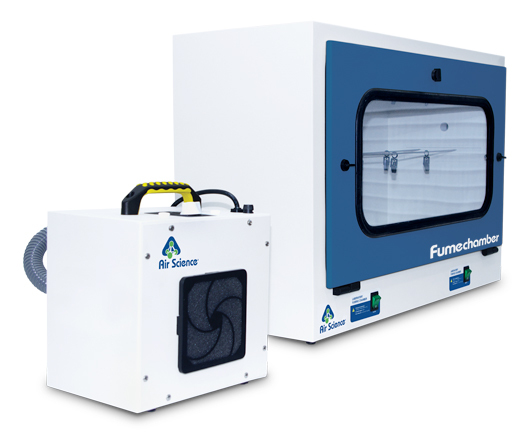 The fuming chamber and fume extractor combination provides a safe, efficient method of cyanoacrylate fuming with a self-contained filtration system to remove the noxious odors and fumes inside the chamber. Fumes are drawn through a >99% efficient filtering system comprised of a HEPA filter and an activated carbon filter. The heater elements provide precise surface temperatures and the clear front door panel allows for close monitoring of development process. 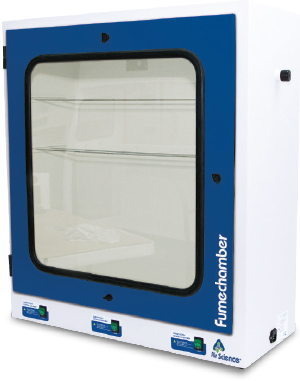 Fuming time and chamber fume evacuation can be user-set to comply with internal department criteria, lab safety protocols or best practices in evidence management. In the basic fuming chamber, vapors of cyanoacrylate combine with fingerprint residues and polymerize to form a hard, whitish deposit. Once developed, such prints may either be photographed without further treatment, may be enhanced by dusting with powders for subsequent lifting by tape or stained with dyes. 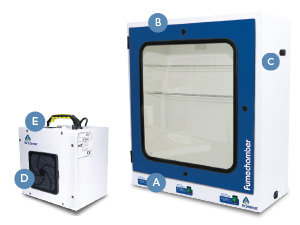 The fume extractor is a self-contained cyanoacrylate filtration system that connects directly to the Laboratory Fuming Chambers via the inlet port. The noxious odors and fumes inside the chamber are drawn through a >99% efficient filtering system comprised of a HEPA Filter and an activated Filter. A. Heating Elements: Multiple heating elements, operating independently or simultaneously, allow for safe accelerated cyanoacrylate development of latent prints. B. Door: The heater elements are self-limited for precise surface temperatures and a large clear front door panel allows for close monitoring of latent print development. 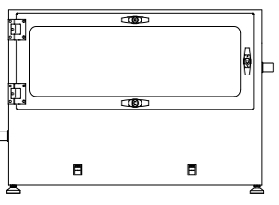 C. Inlet Ports: Two inlet ports will accommodate accessories such as the optional Fume Extractor, portable humidifier, and standard fuming wands. D. Blower: The unit is equipped with a low noise blower and built-in timer adjustable for up to 30 minute cycles, as well as a continuous running position. E. Timer: Select the extraction time needed and handle other tasks while the fume extraction unit purges harmful vapors from the chambers. 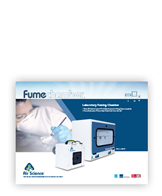 Learn more about the Fume Chamber line by downloading the brochure or by visiting our Specifications tab that includes information for each model.